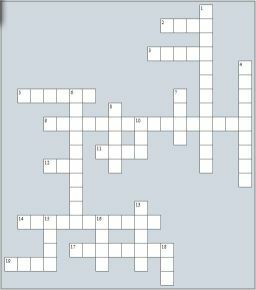 Like Math Crossword Puzzle? Have You Tried These Math Puzzles Too? Most kids enjoy crossword puzzles. Here's a Place Value math crossword puzzle that's great for reviewing place value. They'll have fun while building place value math skills. Place Value Crossword: Just print off the puzzle have at it. The puzzle in in pdf format. We'l be adding more math puzzles on a regular basis so be sure to check back often. Understanding place value is a key math skill all students need to be comfortable with. To review the basics of place value, check out our place value chart first and then come on back and try the crossword puzzle. And for even more fun practice, visit our place value activities page. And also let us know if there is a type of math puzzle or game that you would like to see on the site and we'll do our best to get it soon as we can. Be sure to check out some of the links below for other types of math puzzles you will probably want to try if you haven't already. So if you like math crosswords, you will probably also enjoy solving a Magic Square Puzzle. Magic Squares are a fun and challenging math activity that help kids develop their math thinking! The link toward the bottom will take you to the main Math Puzzles page. We're also in the process of putting building up our math worksheet section of the site. You'll be able to find math worksheets organized by subject area. And then there's also the math brain teasers that students of all ages can get a kick and improve math thinking also.